Spitz is a popular brand specialising in exclusive international brands such as Kurt Geiger, Morandi, Gianni, Chiarini, Tosoni, Nina Roche, Safron Browne, J Rene, Carvela, Aquatalia and Attilio Giusti Leombruni are just some of the international Spitz brands available. Spitz ladies shoes feature lace-ups, flats, high heels, sandals and boots, with the men's range also in an assortment of lace-ups, and slip-on. Every now and then the store will have a Stitz Carvela sale as well as specials on other brands so make sure that you keep track with the latest Spitz catalogue and see what specials are on. There are several Spitz stores located nationwide and all are designed to give the shopper a memorable and enjoyable shopping experience. Apart from shoes, Spitz also has a range of handbags and belts for accessories to finish your look. There is also a selection of shoe care items to help you enjoy and get the best out of your shoes in the long run. Spitz began its journey in 1967 when owners Anthony and David Spitz opened their first store located in Johannesburg CBD. Today the company has grown substantially with stores located throughout the country and since 2005 the company has become a subsidiary of Avi Ltd. The vision remains as it was since the beginning to provide all customers with a comfortable shopping experience with access to exclusive international brands. Spitz is a company specialising in high-end footwear tailored for every occasion. The superb craftsmanship an and quality of each item is imminent throughout the brands sold at Spitz. 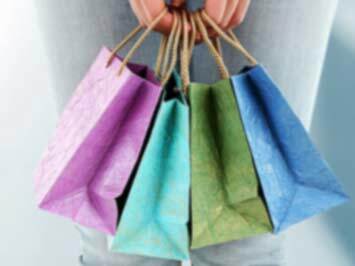 With branches throughout South Africahandbags it simply makes shopping a bit easier. Spitz also has a payment option to lay-bye the items of choice as a means of easier payment management. Customers can also open their Spitz account in-store or online and receive credit for all their footwear shopping needs. Store accounts can be opened at a Spitz branch and apart from excellent benefits being able to enjoy affordable installments revolving 24 or 36 months, customers will also receive exclusive offers. Customers can also apply for the account insurance plan in case of retrenchment, death or disability. You can also utilise the website to read up on any trends and information or browse the Spitz catalogue for the latest Spitz shoes sale. Do you want to receive more Spitz deals by email?